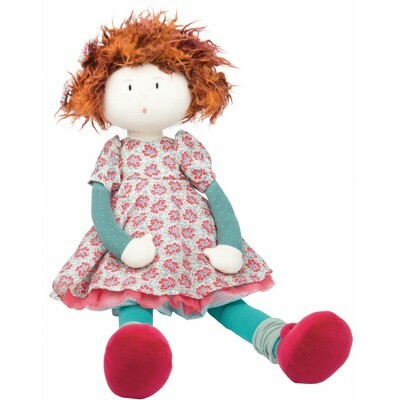 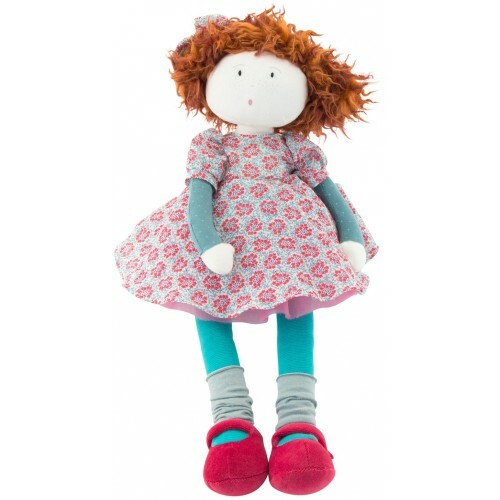 Soft red-head rag doll called Fanette. 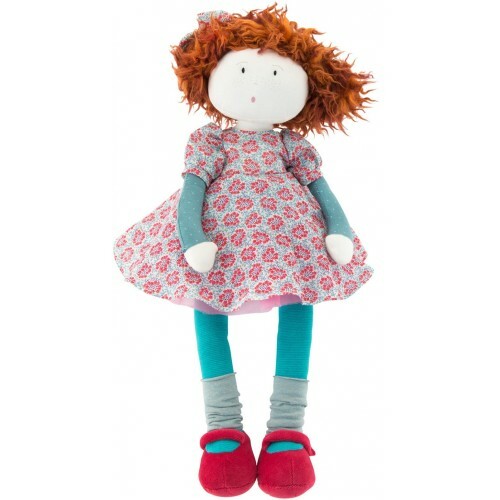 A pretty little thing, under her mint and red currant coloured dress she hides a pink tulle petticoat, baggy turquoise bloomers and tights. 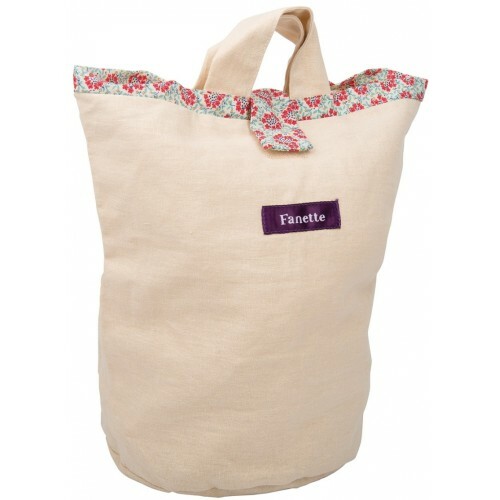 She comes in a canvas bag with her name on.